HALIFAX, NS – Propeller Brewing has announced details of a new collaboration with North Brewing that will be debuting at a tap takeover event later this week. Whip It! 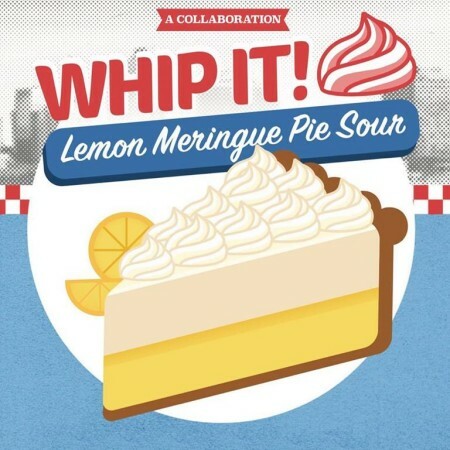 is a sour beer inspired by diner pies of days gone by. Brewed with graham crackers, lactose, and a generous topping of lemon zest. Best served in the sunshine while relaxing on a picnic blanket. Whip It! will be released this Thursday August 2nd at Battery Park Beer Bar in Dartmouth as part of a Propeller tap takeover. Following the release, it will be available in cans at Propeller and on draught at select licensees while supplies last.